Are you imagining Alec Baldwin as a Chardonnay-sipping morning host like Kathie Lee and Hoda? Or would he pair better with a late-night Kimmel? Could he conceivably go toe-to-toe with Ellen? TV might be chockablock with talk shows, but none of them offer Alec Baldwin — at least not yet: The actor is reportedly developing his version of the genre at ABC, though the exact time slot the show would fill is as yet unknown. 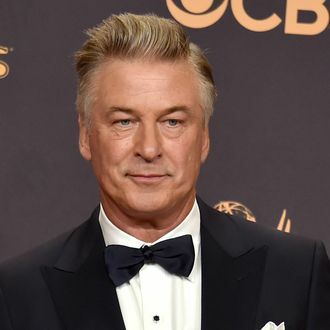 The series will reportedly be based on Baldwin’s WNYC radio show “Here’s the Thing With Alec Baldwin.” If you’re unsure whether or not you’re ready for Baldwin to usher in your Winesday mornings or put you to sleep at night, well, here’s the thing. Take a listen and decide for yourself if it’s a deal-maker.